Good news! Many Baby Boomers have proclaimed for years that they are not worried about saving for retirement because they plan to work until they drop. In reality, that is not actually what is happening. In fact, while the average retirement age has actually increased over the past two decades, people are not working as long as they once predicted. 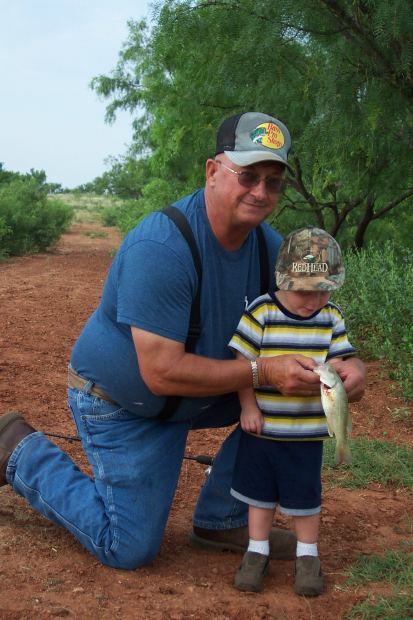 For a number of reasons, people are making the decision to stop working sometime in their mid-60's, whether it is because of health reasons or simply because they want to spend a few years teaching their grandkids to fish. Both the Gallup Poll organization and the Metlife Mature Marketing Institute have recently surveyed Baby Boomers and they made some interesting discoveries. I thought that my Boomer readers would be interested to see what they learned. The average age when the Boomers they surveyed decided to file for Social Security was 63.6. Over one-half of the Baby Boomers who were born in 1946 were fully retired within a year of reaching age 66. Baby Boomers are retiring about five years earlier than they had predicted they would. In fact, about 54 percent of Baby Boomers retired sooner than planned. In about 32 percent of the cases, they retired because of health reasons; in 24 percent of the early retirements, it was because of a job loss. In other words, many Baby Boomers are discovering that it simply is not possible to work as long as they had planned, even if they would still like to. Not everyone who retired in their 60's, however, did so because something bad happened. The Metlife survey discovered that about one-third of the retirees had quit their jobs simply because they wanted to and they were confident that they had enough money to get by. The people in this group of retirees either felt they had had enough of their jobs, or they wanted to have some time to enjoy what was left of their lives. I can relate to this group, as I recently retired from the job I had held for the past ten years and now I feel suddenly liberated! No matter why they retired, the good news is that nearly all of the older Baby Boomers who had already retired said on the survey that they either "liked it somewhat" or they "liked it a lot." I plan to be in the latter group. On the other hand, the Boomers who have not yet retired continue to predict that they will work until they are about 71. This predicted retirement age has actually increased. As recently as 2011, Boomers were predicting that they would quit working at age 69. Many of these Boomers are listening to the financial planners who recommend that Boomers work as long as possible and delay collecting their Social Security benefits until age 70, so they can maximize their benefits as much as possible. My conclusion about all this is that people seem to be happy to retire early when they can, even if the retirement wasn't entirely planned. However, those who decided to wait are often doing it for sound financial reasons. The average retirement age according to Gallup is now age 61; it was 59 about ten years ago and it was 57 in the early 1990's. Currently, about one-third of workers say they plan to retire when they are age 66 or older. In 1995, only 14 percent planned to wait that long. Again, there is that five year discrepancy between when people say they plan to retire and when they actually are retiring. My conclusion from both the Gallup Poll and the Metlife survey results is that, while people hope to wait to retire at age 66 or older, Baby Boomers are actually retiring much sooner. I am sure the reasons that were given in the MetLife survey would be the same for the people contacted by Gallup. If you have retired in the past three to five years, it would be interesting to my other readers if you would leave a comment letting us know what age you were when you retired and whether or not this was the age you thought you would retire. Personally, I retired at age 64, about two years sooner than I had originally predicted, but I am happy I made that decision. It's funny how we say whats going to happen and then the opposite happens instead. I figure go ahead and get alot of mutual funds, and assets going so I can retire early rather than working until I drop. That's why I work with http://www.mutualfundstore.com… what do you think? I believe that mutual funds can be an important part of a retirement plan. However, although I have heard of The Mutual Fun Store, I have not use them and CANNOT recommend them. I will be 63 in a few days and can retire now, financially speaking. However, I have not yet prepared for what I would be doing, in lieu of working. Perhaps, I would be ready next year, which would be in line with the age (64) that I thought I would retire. I was a teacher for 30 years. I am fortunate to have a full pension and free medical. I thought I would retire at 57. I decided for financial reasons to work till 60. I am glad I retired as I needed to leave my profession. My profession has dramatically changed. I also have a beautiful grandson who I want to be able to see when possible I figured I would do a less stressful part time job. 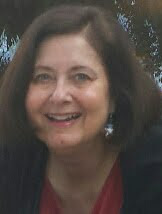 I found a great part time job and I love the freedom~ Glad I retired at 60. Once I hit 62 I plan to take my Social Security. At that point I won't need a part time job, however I may keep it. I had hoped to work at my last job until I was 70. I felt that would be a good time to retire. THe job got changed to work I didn't want to do so I retired at 66. However although retirement meets my basic needs, it doesn't support unexpected expenses like car repairs, higher property taxes, traveling and so on...so I work part time which I enjoy because I have a lot of control over when and where I work.